WILLEMSTAD – It was colorful, creative and full of energy. 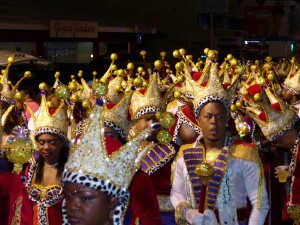 The carnival was traditionally closed with a final celebratory parade in the evening. At the end of the parade, the King Momo was burned as a sign that the party is now really over. After the children held their farewell parade on Monday, the adults had their turn in the Gran Marcha (big parade). 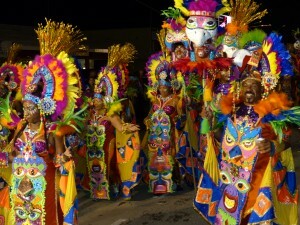 The participants in the parade danced exuberantly once more through the streets of Willemstad. They threw kisses to the crowd and posed enthusiastically for the cameras. Curaçao once again had a successful carnival and the people celebrated it in their own unique way. Today Lent has begun officially. The karnavalista today's get a cross of ashes and will have to wait a year until the party breaks out again in full force and color.